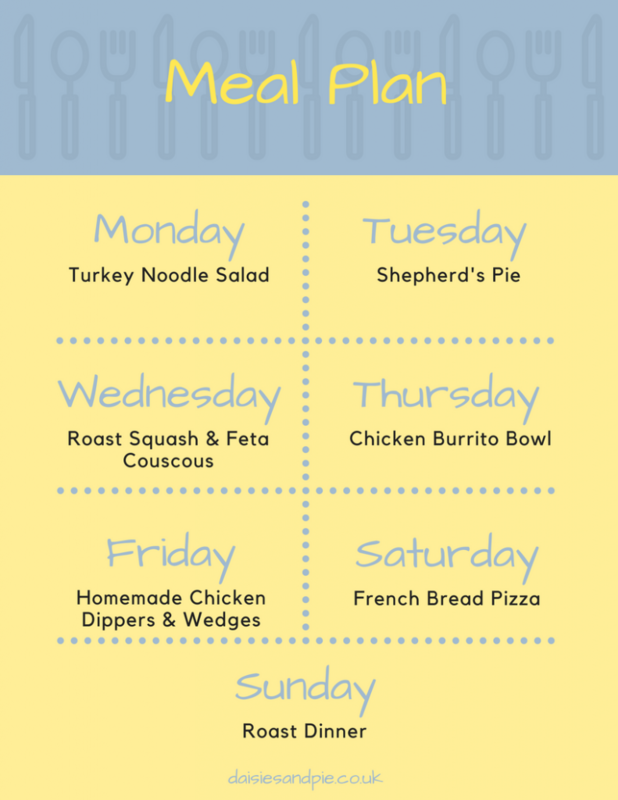 A weekly family meal plan filled with easy to make, delicious family dinner recipes. All our food is simple, tasty and perfect for feeding a family. Quick noodle salad with turkey, shredded veggies and a delicious satay sauce. Recipe for this one will be up on the blog this week. Deliciously easy shepherd’s pie, loaded with flavour and perfect for a cold night, I’ll do pickled red cabbage and beetroot to go alongside. 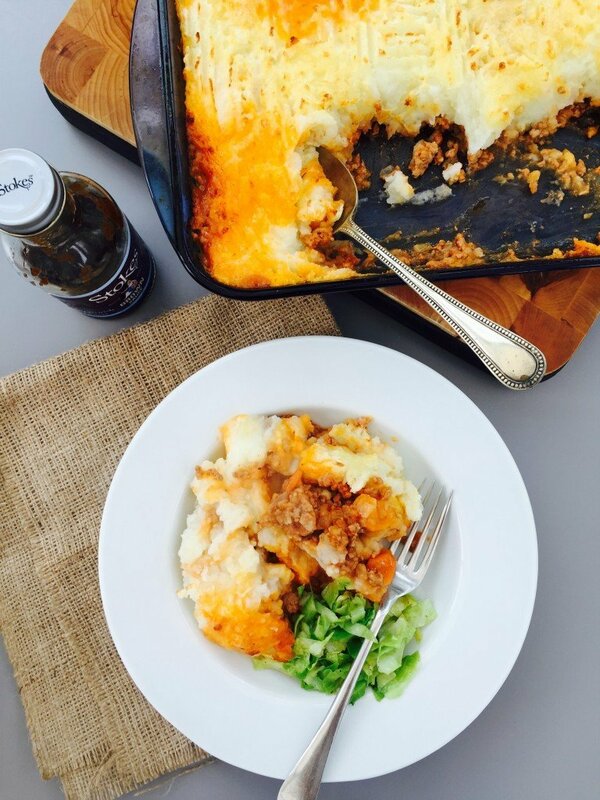 You might like our 5 tasty twists on shepherd’s pie here. 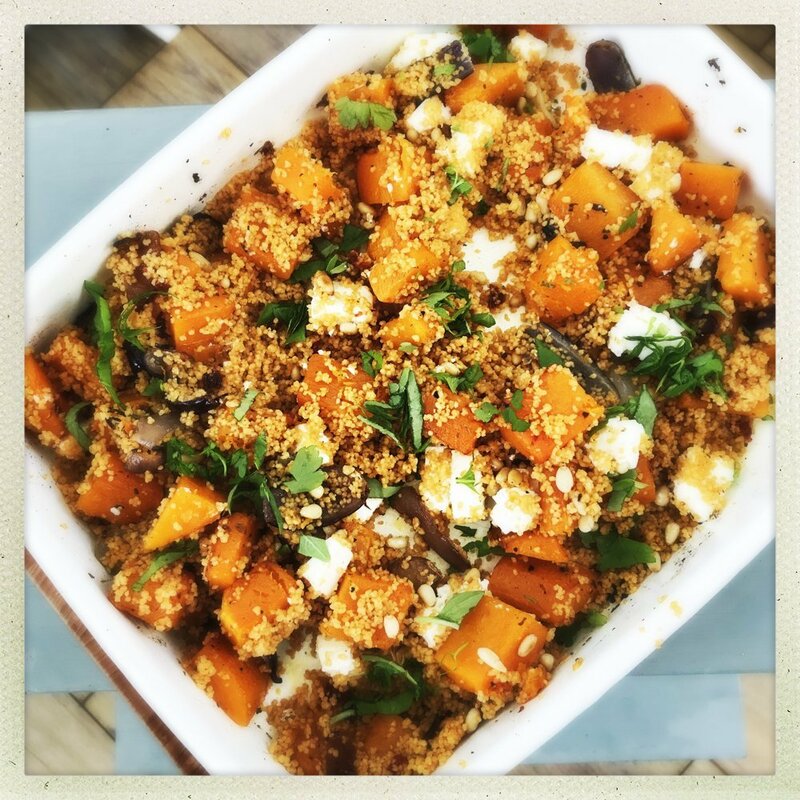 Tasty sweet oven roasted squash and onions tossed into flavoured couscous and scattered with feta cheese and herbs, get the recipe here. 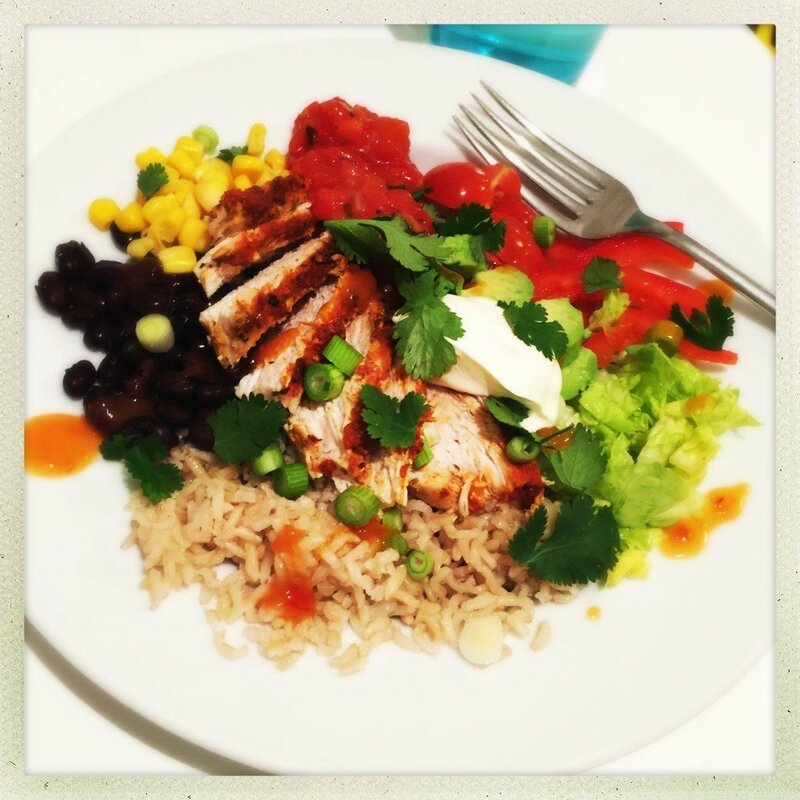 All the burrito yumminess just in a bowl – get the burrito bowl recipe here, we like this with a side of cheesy nachos. 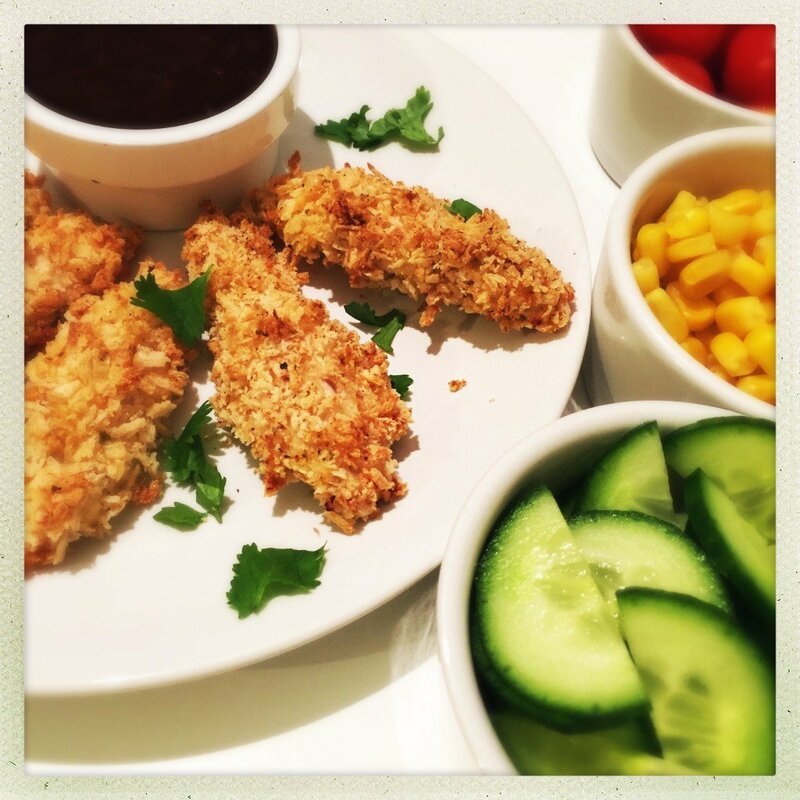 Homemade crunchy chicken dippers with a side of potato wedges and BBQ baked beans – the kids love this dinner. Quick and easy French bread pizza – just make up little bowls of toppings and let everyone put together their own pizza creation. 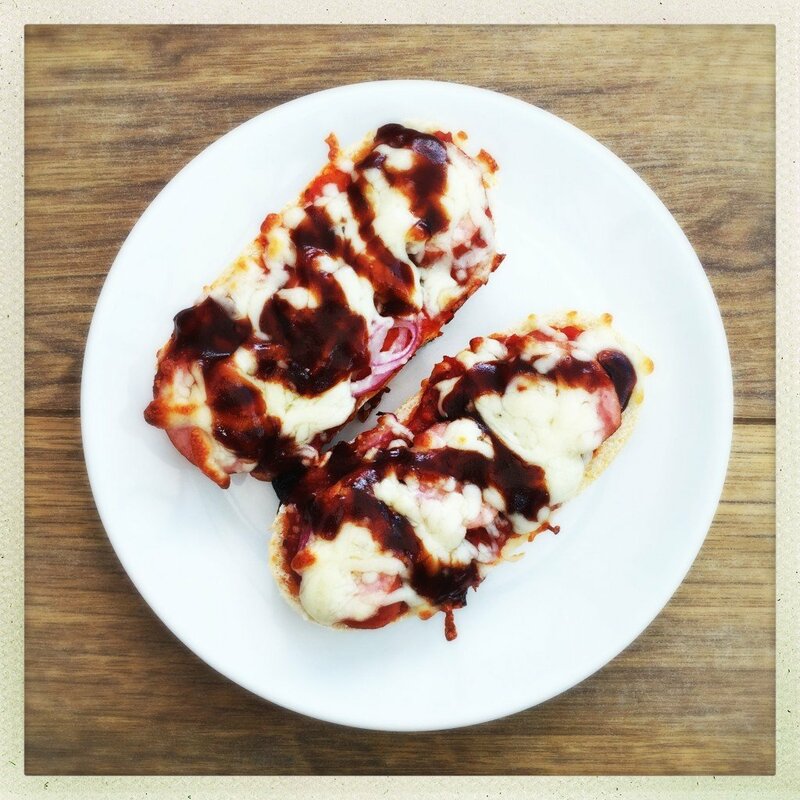 Get the French bread pizza recipe here. I’ll be cooking up a chicken roast dinner with all the trimmings.